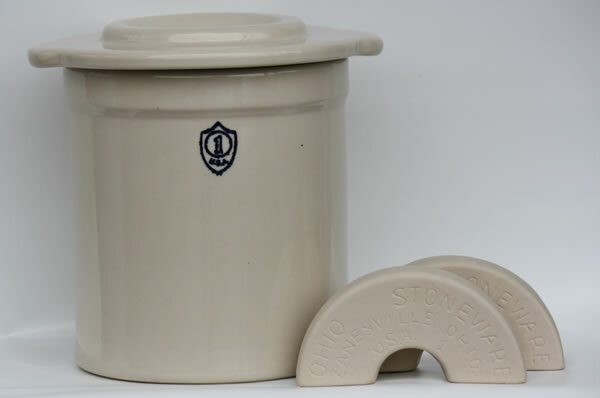 Preserving crock, weight, cover, and recipes from Ohio Stoneware all in one convenient kit so you have everything you need to make some delicious homemade sauerkraut or other fermented foods. Made of vitrified stoneware has been fired at over 2000° F for durability. Unlike many imports, all of our crocks are made with lead free glazes which makes them food safe, microwave oven, conventional oven, and dishwasher safe.